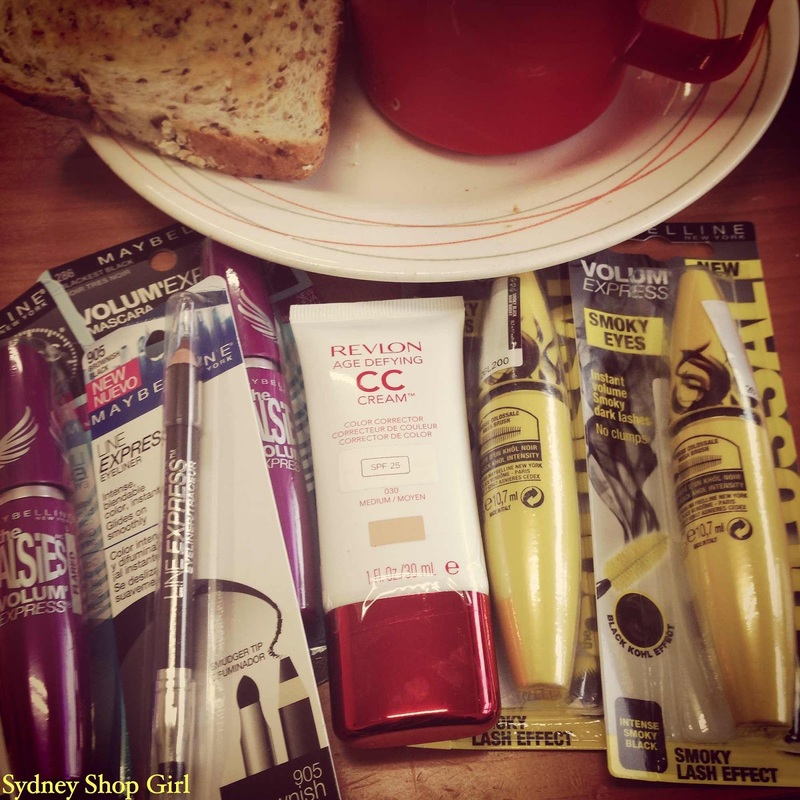 Sydney Shop Girl: The Beautiful Game. Aldi Finds. 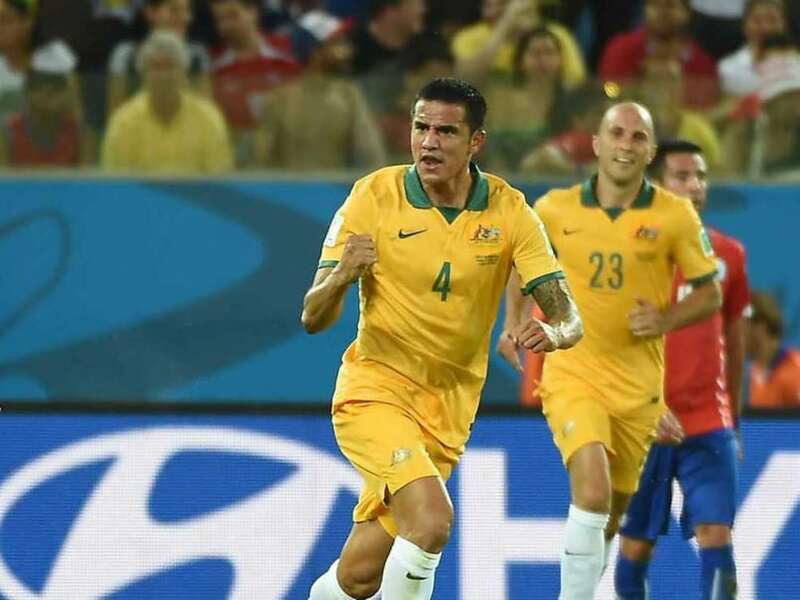 I had to show my support for the Socceroos somehow today after that brilliant goal by Tim Cahill this morning. 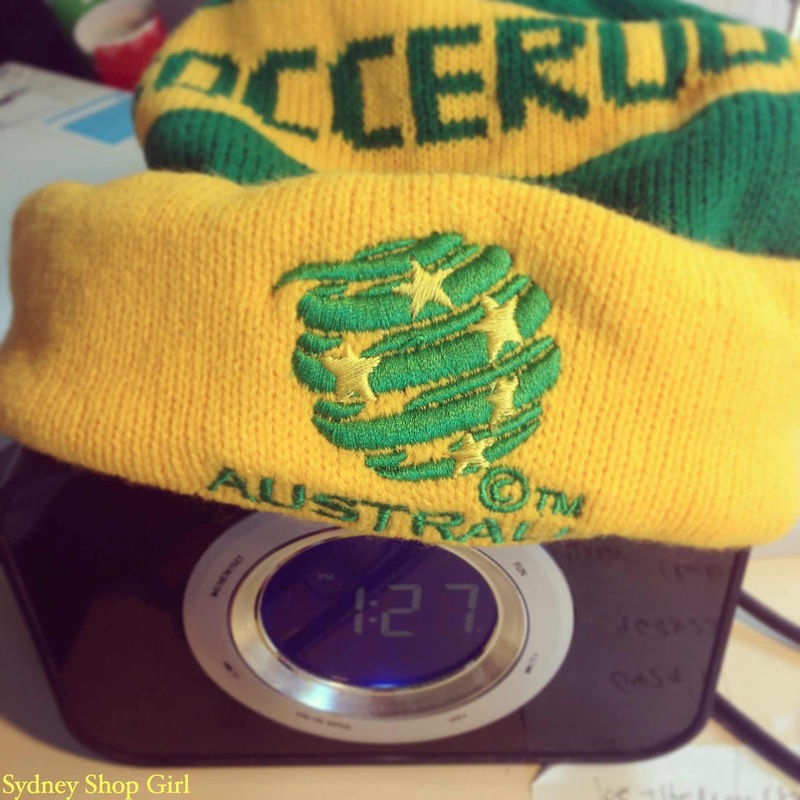 I dusted off my Socceroo beanie and placed it tea cosy style over my clock radio. And I embraced the green and gold for lunch today. May I present my Socceroo salad. 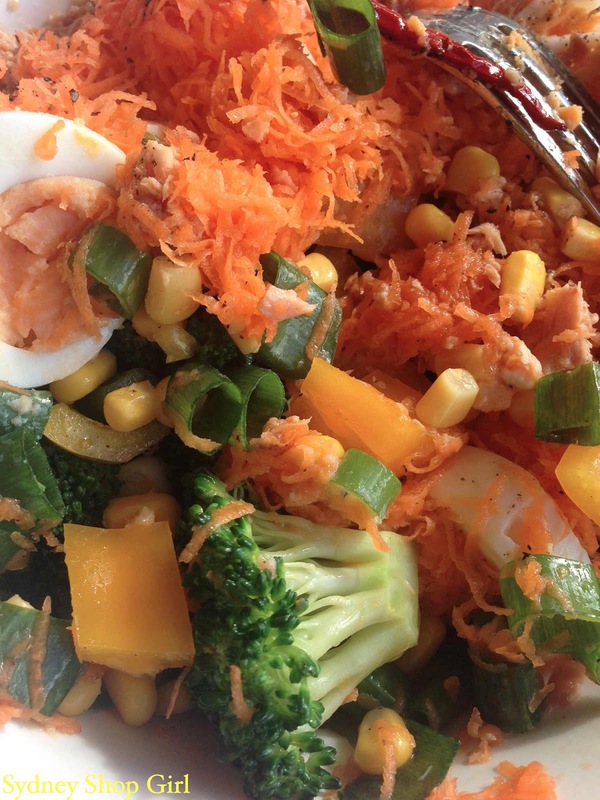 It's mainly green and gold and full of the healthy things the team must be eating round the clock in Brazil. It's more meat pie weather in Sydney right now but it was my patriotic duty to adopt the team diet for their first match of the cup. It's hard not to be dazzled by the star power of the elite players and their entourages but the stories that fascinate me most about this global game are those of the players who hail from countries in political turmoil. Hearing their stories of what they overcame to even be able to play soccer and then to make it to the World Cup makes them the true winners in my eyes. Soccer seems to be a universal language of hope and passion, it's also a beautiful game (thank you, Pele for coining that immortal phrase) to watch at World Cup level. Even if you don't know the rules and can only gasp in admiration at the prowess of the teams. Closer to home, the cup has brought communities together. Despite soccer not being the biggest sport in our country, everyone here has plans for where they'll be when their favoured team or teams will be playing. Cultural centres are hosting events for their communities to come and watch games together. Pubs have sold out of tickets to 2am events to watch teams like Italy play (to make sure everyone stays awake for the excitement, they've guaranteed good coffee at some venues). The enthusiasm and goodwill is infectious. The AGs are officially my favourite pair of black skinny jeans. How was your Friday the 13th? I managed to stay out of trouble. 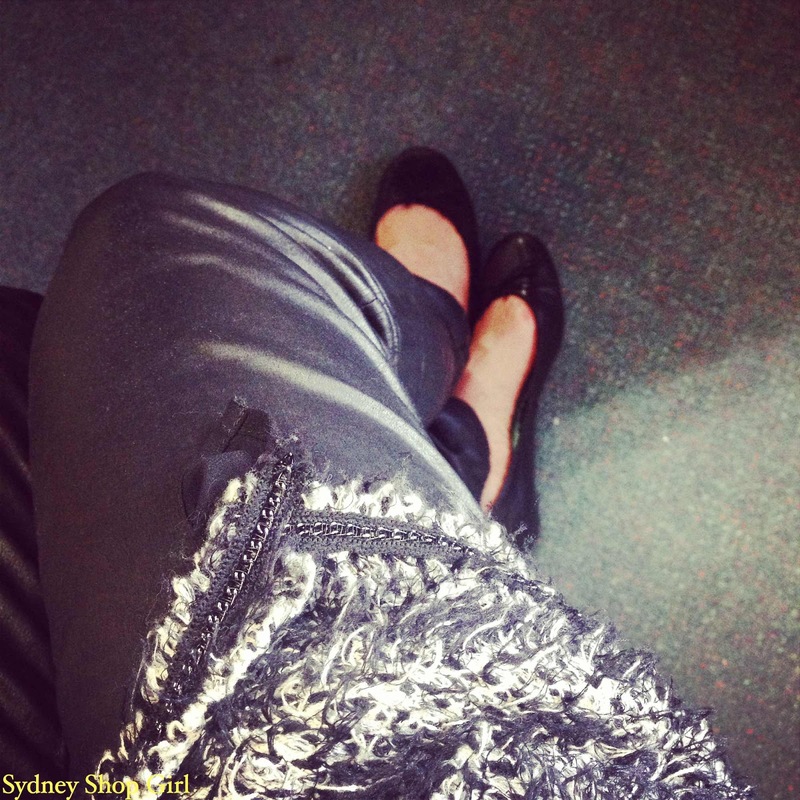 Wore my new AG pleather skinnies to work with a bit of Zhanel (Chanel via Zara) from a few years back. Brown bagged lunches everyday = more $$$ for fun things. Priceline's Pink Dot Sale is on now until the 18th of June and I stockpiled. $10 for my favourite Maybelline mascaras, $4.25 for the eyeliner pencil that changed my life (Maybelline's Line Express in brownish black) and $16.17 precisely for a new tube of Revlon's CC cream. Priceline, they're dangerously close to US prices. Guess what I found the last box of at Aldi? Taylors of Harrogate's Yorkshire Tea!!!! And it was only $3.99 for a box of 100 bags. Unforunately, I think Taylors was only in Aldi as part of a special buy promotion. Actually, I know this for a fact because I personally stopped in at every Aldi on my way home in a vain attempt to find another box. Toddler SSG has done rather well from the sales. 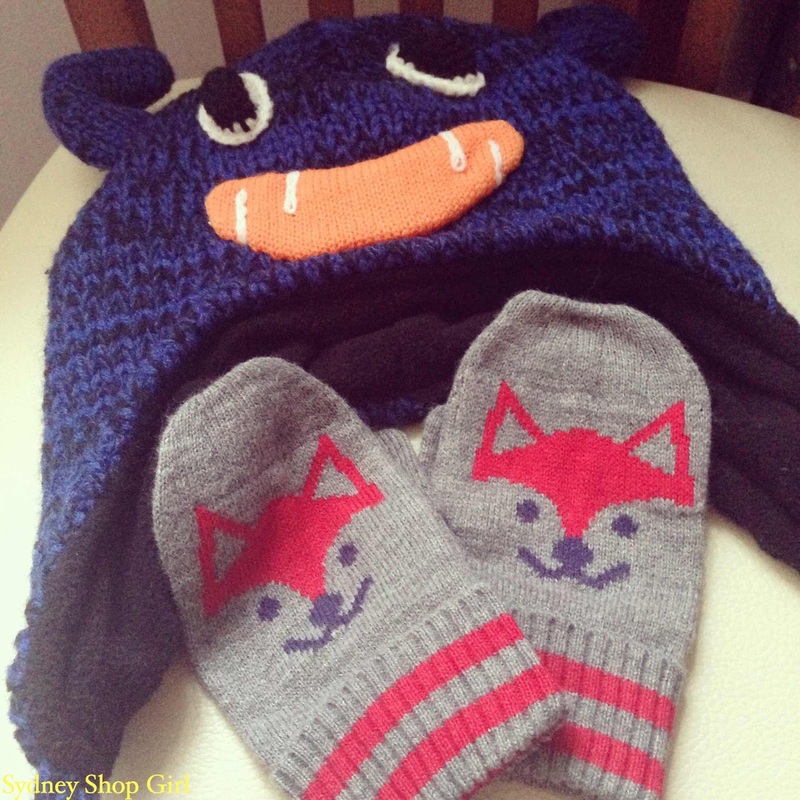 His new winter monster hat was $3.99 at Aldi and his foxy mittens were $1.80 from Mix Apparel at Coles. I wonder if he'll keep everything on when he goes out to play? The good thing about the hat is that it'll make it a bit easier to find him in the crowd on the play equipment. I was hoping that my earliesh (it is an actual word, I just googled to make sure) walker would be a never climber but scarily, Toddler SSG loves a good climb at the moment. And if he can't get on top of something on his own, believe me, he'll find something to use as a step to make sure he can. Usually when he thinks no one is looking. Should I let him climb at home or try to get him to save it for play equipment? I've been fighting a losing battle with bud style earphones for quite some time now. The buds have an annoying way of falling out of my ears at the worst moments (being jolted on the bus as I punch my pass) and I'm forever getting the wires tangles around my arm. So I've decided to go purposefully retro and use over the head headphones again. I'm also too much of a cheapskate to invest in a pair of $300 Beats by Dr Dre headphones. Enter this $10 pair from Coles. We've been on many walks and bus trips together and not once have they fallen off my head. We've even found a new radio station together - The Hits MIXX. It's a radio station based in Tampa, Florida and not only is the music great (pop, rock and r'n'b from all the decades I've lived through from high school until the present) and the bantering DJs almost non existent but it also has the most fascinating collection of adverts I've ever heard on a radio station. From high court judges campaigning for the legalisation of marijuana in the US to Michael Douglas giving his voice to a campaign to promote the uptake of the pneumococcal vaccine, it's all on the ad breaks on The Hits MIXX. I don't think I've ever listened to so many public awareness campaigns in a single ad break anywhere else in radio. And on that note, I hope your weekend is going well. 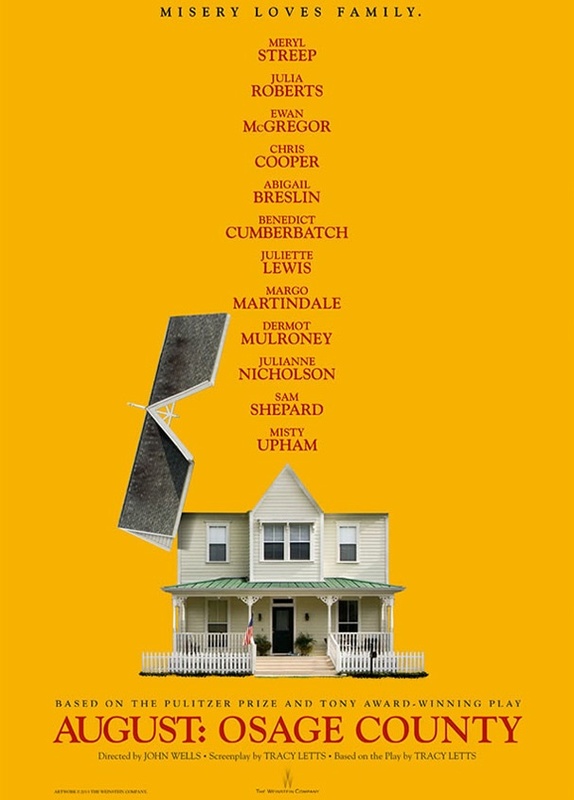 I'm staying in tonight, got a DVD from my local DVD ATM - August: Osage County. Killer cast, really looking forward to it. Have you seen it? I was this close to getting the Naomi Watts as Diana bio pic but I Wisely Walked Away. The way to watch Diana is from the couch!! I didn't hate it. Concentrated on the interior design and not on the cringey script. Thanks for that, Louise! August: Osage County was a bit full on. Reckon I need a spot of Diana and fabulous film sets as an antidote. Beanie and mittens are so cute! Not sure about August: Osage County. I was hoping for a different ending.